August: the calm before the back-to-school storm. Or so you might think—as this edition of the BusinessBecause applicant bulletin shows, this month is as packed as ever with events to look out there for business school applicants. At the end of last month, Kellogg School of Management at Northwestern University took questions from applicants over social media and put them to their admissions team. One question covered the best GMAT score to apply with, to which assistant director of admissions Chris Aleman confirmed there is no 'optimal' GMAT score. The average GMAT score for Kellogg’s full-time MBA class of 2020 is 732. GMAT scores range from 590 to 790 at Kellogg. Another inquired how re-applicants are viewed by the admissions team, and Nikki McAtee, associate director of admissions, reported that the two applications will be compared to look for evidence of growth, but that the focus will be on the most recent application. You can see the team, and their answers to the questions, in the Highlights on Kellogg’s Instagram page! Want to learn more about the Kellogg Full-Time #MBA #admissions process? This week, we’re giving our followers a chance to ask our admissions team questions! Simply send us a DM with your question and then check back in early August for answers directly from our admissions officers. • • Please note: No personal information will be shared with the admissions team, only the questions themselves. Submitting a question will have no impact, positive or negative, on an application. If you thought July was busy for The MBA Tour—as it took representatives from schools around the world to a total of nine destinations across the United States—you haven’t seen anything yet. In August, the touring MBA fair is slated to visit no less than 21 cities across Latin America, Canada, Australia, and Southeast Asia, bringing prospective MBA students into valuable conversation with the admissions teams who will be looking over their applications in the near future. Kicking off on August 2nd in Rio de Janeiro and ending with an event in Ho Chi Minh city on August 27th, this month promises to provide massive opportunities for MBA students from outside the US and Europe to get to know their future schools. Meanwhile, the QS World MBA Tour will be hosting applicant events across Asia in late August, including Beijing, Seoul, Shanghai, and Tokyo. If you’ve been considering an EMBA, but aren’t sure how your application would stand up to the competition, you’re in luck. 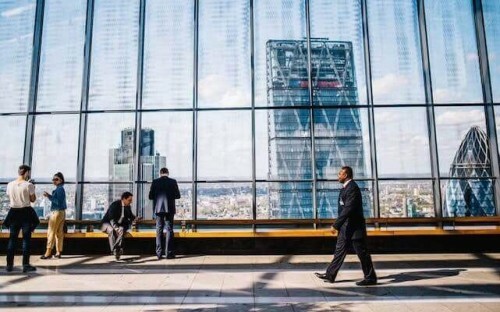 Natalie Meade, the business development manager for executive programs at Warwick Business School, is holding drop-in sessions at the school’s classrooms in The Shard, London, on August 13th and 14th. As well as giving prospective students the chance to visit one of the most impressive buildings in London’s skyline, the drop-in sessions also present an opportunity to ask your pressing admissions questions to someone with answers. Natalie will review your CV, present an overview of the MBA programs on offer, and discuss the benefits of studying at Warwick—and all with the backdrop of the UK’s capital. Not bad! It seems there’s no end of exciting events happening around the world this August! On August 13th, the Forté Forum arrives in Washington DC, giving outstanding businesswomen who are considering an MBA the chance to make business connections with other women at top business schools from North America and Europe. The event is free, and as if that weren’t enough, before doors open at 6pm local time there is also the Forté MBAExplore event that afternoon: a half-day program that aims to help you determine whether an MBA is right for you, and how you can get there. There’s no need to fret if you’re not in DC on the 14th, however. The Forté Forum is also heading to Boston, Atlanta, Miami, Seattle, San Francisco, Los Angeles, Houston, Chicago, New York, and Toronto—all before the month is out! What can you look forward to from BusinessBecause this month? It wouldn't be fair to finish this bulletin without a heads-up about our own plans for August! This month, BusinessBecause will be taking a deep-dive into entrepreneurship at business school, with an MBA Startups To Look Out For mega-feature coming very soon. Also on the agenda is our inaugural Applicant Question Of The Week. Every week, we’ll give you the opportunity to ask one of our chosen admissions experts anything you want to know about getting into business school. One question each week will be chosen for our expert to answer. Look out for these features in our weekly applicant newsletter! This week, we're kicking off with Barbara Coward, an expert MBA admissions consultant who's worked in admissions departments at Johns Hopkins University; Loyola University, Maryland; and the University of Bath. To ask Barbara a question, head to our Twitter and Facebook pages or post in the comments box below!